+ Therefore, the answer should be around the word ‘declared’ in the passage. + Therefore, the answer is ‘school’. The government saw the solution in the providing of Physical Education programmes in schools, delivered by better prepared and specifically educated PE teachers. + The third paragraph mentions that in the 1970s and 1980s, the Australians graduating with a PE degree are more than needed. + The answer for this question can be found in paragraph 2. 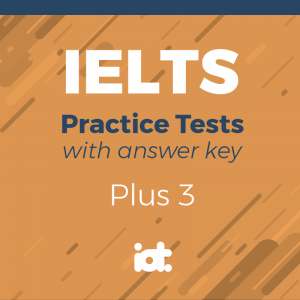 + Notice that some keywords in the passage are changed in the Question. 6 TRUEFALSENOT GIVEN Sport is generally regarded as a profitable area for investment. 7 TRUEFALSENOT GIVEN Rupert Murdoch has a personal as well as a business interest in sport. 8 TRUEFALSENOT GIVEN The range of career opportunities available to sport graduates is increasing. 9 TRUEFALSENOT GIVEN The interests of business and the interests of universities are linked. 10 TRUEFALSENOT GIVEN Governments have been focusing too much attention on preventative medicine. 11 TRUEFALSENOT GIVEN It is inevitable that government priorities for health spending will change. 12 TRUEFALSENOT GIVEN Existing degree courses are unsuitable for careers in community health. 13 TRUEFALSENOT GIVEN Funding for sport science and related degrees has been increased considerably. Q6. Sport is generally regarded as a profitable area for investment. The sports industry is developing at an unprecedented rate of growth. From a business perspective, sport is now seen as an area with the potential for high returns. It is quite significant that the businessman Rupert Murdoch broadened his business base from media to sport, having purchased an American baseball team and an Australian Rugby League competition, as well as seeking opportunities to invest in an English football club. No business person of such international stature would see fit to invest in sport unless he was satisfied that this was a sound business venture with ideal revenue-generating opportunities. + Paragraph 5 states that business people now see sport as having good potential as an investment (pay attention to the green highlighted phrases). + Moreover, you can find out that there is a real example for the information above: Rupert Murdoch broadened his business base from media to sport because of having seen sport as the potential for high returns. Q7. Rupert Murdoch has a personal as well as a business interest in sport. Q8. The range of career opportunities available to sport graduates is increasing. Q9. The interests of business and the interests of universities are linked. + Firstly, focus on blue, orange and green highlighted phrases. It is step on to get the answer. + Generally, in paragraph 7, the main idea focuses on ‘money’ (which relates to ‘interests’). Besides, in paragraph 7, the information is also focus on two main factors ‘business leaders’ (which relates to ‘business’) and ‘educated professionals’ (which is also means ‘universities’). + Moreover, this paragraph uses 2 conditional clauses to emphasize the relation between the interests of business and the interests of universities. + According to these evidences above, it can be clear that there is a connection between the interests of business and the interests of universities. Q10. Governments have been focusing too much attention on preventative medicine. The increasing demand for government expenditure within health budgets is reaching the stage where most governments are simply unable to function in a manner that is satisfying their constituents. One of the primary reasons for this problem is the unhelpful emphasis on treatment in medical care programmes. Governments have traditionally given their senior health official the title of ‘Minister for Health’, when in fact this officer has functioned as ‘Minister for Sickness and the Construction of Hospitals’. Government focus simply has to change. + The second sentence mentions that ‘The increasing demand for government expenditure within health budgets’ is what ‘most governments are simply unable to function’. + However, the statement in the Question means ‘the government’ pays too much attention on ‘preventive medicine’ NOT ‘medical care programmes’ (as mentioned in the 8th paragraph). Hence, the information in the statement is not true according to the information in the paragraph. Q11. It is inevitable that government priorities for health spending will change. Q12. Existing degree courses are unsuitable for careers in community health. Graduates of human movement, exercise science and sport science have the potential to become major players in this shift in policy focus. It is these graduates who already have the skills, knowledge and understanding to initiate community health education programmes to reduce cardio-vascular disease, to reduce medical dependency upon diabetes, to improve workplace health leading to increased productivity, to initiate and promote programmes of activity for the elderly that reduce medical dependency, and to maintain an active lifestyle for the unemployed and disadvantaged groups in society. + Particularly focus on the green highlighted sentence. In general, it can be seen that graduates of human movement, exercise science and sport science not only have the potential to become majors in these fields but with their skills, they can bring a huge number of benefits to the health community such as …(in the pink highlighted sentences). Q13. Funding for sport science and related degrees has been increased considerably. + Consequently, the answer is NOT GIVEN. Write the correct number, i-ix. i A better use for large sums of money. ii The environmental costs of manufacture and installation. iii Estimates of the number of micro-turbines in use. iv The environmental benefits of running a micro-turbine. v The size and output of the largest type of micro-turbine. vi A limited case for subsidising micro-turbines. vii Recent improvements in the design of micro-turbines. viii An indirect method of reducing carbon emissions. ix The financial benefits of running a micro-turbine. Q14. v.The size and output of the largest type of micro-turbine. A In terms of micro-renewable energy sources suitable for private use, a 15-kilowatt (kW) turbine is at the biggest end of the spectrum. With a nine metre diameter and a pole as high as a four-storey house, this is the most efficient form of wind micro turbine, and the sort of thing you could install only if you had plenty of space and money. According to one estimate, a 15-kW micro-turbine (that’s one with the maximum output), costing £41,000 to purchase and a further £9,000 to install, is capable of delivering 25,000 kilowatt-hours (kWh)’ of electricity each year if placed on a suitably windy site . ANSWER: v The size and output of the largest type of micro-turbine. + Paragraph A explains the sizes (15-kW; a nine metre diameter and a pole as high as a four-storey house) and the output of a large (maximum output; the biggest end of the spectrum), wind turbine for private use. Q15. ii The environmental costs of manufacture and installation. B I don’t know of any credible studies of the greenhouse gas emissions involved in producing and installing turbines, so my estimates here are going to be even more broad than usual. However, it is worth trying. If turbine manufacture is about as carbon intensive per pound sterling of product as other generators and electrical motors, which seems a reasonable assumption, the carbon intensity of manufacture will be around 640 kilograms (kg) per £1,000 of value. Installation is probably about as carbon intensive as typical construction, at around 380 kg per £1,000. That makes the carbon footprint (the total amount of greenhouse gases that installing a turbine creates) 30 tones. ANSWER: ii The environmental costs of manufacture and installation. + Paragraph B estimates the greenhouse gas emissions (which also means ‘the environmental cost) involved in producing and installing the turbine. Q16. iv The environmental benefits of running a micro-turbine. C The carbon savings from wind-powered electricity generation depend on the carbon intensity of the electricity that you’re replacing. Let’s assume that your generation replaces the coal-fuelled part of the country’s energy mix. In other words, if you live in the UK, let’s say that rather than replacing typical grid electricity, which comes from a mix of coal, gas, oil and renewable energy sources, the effect of your turbine is to reduce the use of coal-fired power stations. That’s reasonable, because coal is the least preferable source in the electricity mix. In this case the carbon saving is roughly one kilogram per kWh, so you save 25 tones per year and pay back the embodied carbon in just 14 months - a great start. ANSWER: iv The environmental benefits of running a micro-turbine. + You can see the main focus of paragraph C is about the carbon savings. In other words, paragraph C mentions ‘carbon saving’ as one of ‘the environmental benefits of running a turbine’. + Remember to focus on some orange, pink and purple highlighted phrases as a direction to give your answer. Q17. ix The financial benefits of running a micro-turbine. ANSWER: ix The financial benefits of running a micro-turbine. + Additionally, paragraph D shows that financial subsidy has been introduced by the government to encourage individuals to use turbine (the first sentence), and there is some financial incentives such as the payback of the investment. Q18. i A better use for large sums of money. E So, at face value, the turbine looks like a great idea environmentally, and a fairly good long-term investment economically for the person installing it. However, there is a crucial perspective missing from the analysis so far. Has the government spent its money wisely? It has invested 24p per unit into each micro-turbine. That works out at a massive £250 per tone of carbon saved. My calculations tell me that had the government invested its money in offshore wind farms, instead of subsidizing smaller domestic turbines, they would have broken even after eight years. In other words, the micro-turbine works out as a good investment for individuals, but only because the government spends, and arguably wastes, so much money subsidizing it. Carbon savings are far lower too. ANSWER: i A better use for large sums of money. + Firstly, look at some blue, pink, purple and orange highlighted phrases. 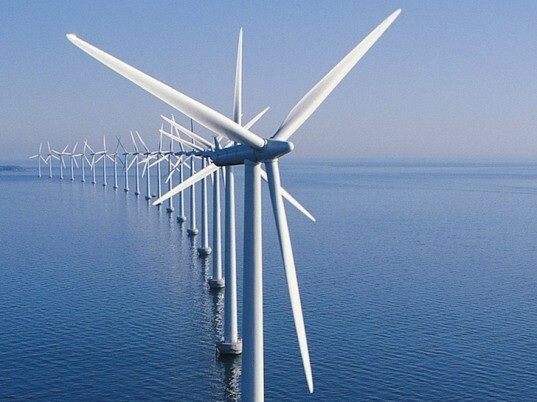 You can easily find that there are some conflicts between the use of money investment in the turbine and offshore wind farm by the government. + Overall, it can be seen that the money may have been better spend on ‘offshore wind farm’ rather than on ‘the turbine’. vi. A limited case for subsidizing micro-turbines. F Nevertheless, although the micro-wind turbine subsidy doesn’t look like the very best way of spending government resources on climate change mitigation, we are talking about investing only about 0.075 percent per year of the nation’s GDP to get a one percent reduction in carbon emissions, which is a worthwhile benefit. In other words, it could be much better, but it could be worse. In addition, such investment helps to promote and sustain developing technology. ANSWER: vi A limited case for subsidizing micro-turbines. + Firstly, pay attention to the orange and especially purple highlighted phrases in the paragraph that match the statement in the Question. + Paragraph F confirms that there has been some benefits in the subsidies to individuals; however, the sentence ‘it could be much better, but it could be worse’ reveals that the benefits are limited. G There is one extra favorable way of looking at the micro-wind turbine, even if it is not the single best way of investing money in cutting carbon. Input- output modelling has told us that it is actually quite difficult to spend money without having a negative carbon impact. So if the subsidy encourages people to spend their money on a carbon-reducing technology such as a wind turbine, rather than on carbon-producing goods like cars, and services such as overseas holidays, then the reductions in emissions will be greater than my simple sums above have suggested. The list below contains some possible statements about micro wind-turbines. Which TWO of these statements are made by the writer of the passage? A In certain areas, permission is required to install them. B Their exact energy output depends on their position. C They probably take less energy to make than other engines. D The UK government contributes towards their purchase cost. E They can produce more energy than a household needs. 23 would be a more effective target for government investment than micro-turbines. Most spending has a 25 effect on the environment. Q23.______ would be a more effective target for government investment than micro-turbines. + The answer can be found in paragraph E, which main idea is about a better use for large sums of money. There is one extra favorable way of looking at the micro-wind turbine …In addition, such investment helps to promote and sustain developing technology. + The answer can be found in paragraph G, which main idea is about a limited case for subsidizing micro-turbines. + The pink, green highlighted phrases and green keywords in paragraph G have the similar meaning with that phrases and keywords in the Question. Q25. Most spending has a _____ effect on the environment. Input- output modeling has told us that it is actually quite difficult to spend money without having a negative carbon impact. So if the subsidy encourages people to spend their money on a carbon-reducing technology such as a wind turbine, rather than on carbon-producing goods like cars, and services such as overseas holidays, then the reductions in emissions will be greater than my simple sums above have suggested. + Look at the orange, pink, green highlighted keywords in the paragraph that match the statement. + The word ‘overseas holidays’ is substituted to ‘foreign holidays’. According to the statement in the Question, the answer should be noun phrases and surrounded the word ‘overseas holidays’ in the passage. What does the writer say about items of pottery excavated at Akrotiri? Q27. What does the writer say about items of pottery excavated at Akrotiri? + The answer can be found in paragraph 2. + The paragraph mentions that the pottery found includes a wide variety of functional types. Because the pottery had various types, they would have met a big variety of needs. + Focus on the pink, yellow, green, purple highlighted phrases in the paragraph that match the highlighted phrases in the Questions. + In the paragraph, it has been assumed that most of Akrotiri pottery was produced by specialised craftsmen due to the large number of shapes produced. + Focus on the green, yellow highlighted keywords to figure out the answer. + It can be clear that metal discs are the evidence for operating the standards units of weight. The existence of units of capacity in Late Bronze Age times is also evidenced by the notation of units of a liquid measure for wine on excavated containers. ANSWER: E marks found on wine containers. + Focus on the green, yellow, pink, purple highlighted keywords to figure out the answer. + Hence, the existence of units of the use of standard units of volume is evidenced by the marks on excavated containers. ANSWER: D the physical characteristics of workmen. + Focus on the orange, pink, purple highlighted keywords to figure out the answer. However, it would be quite difficult for them to achieve the exact size required every time, without any mechanical means of regulating symmetry and wall thickness , and some potters would be more skilled than others. ANSWER: C variations in the exact shape and thickness of similar containers. + In paragraph 8, focus on the sentence above. The sentence mentions that it would be quite difficult (complicated) to achieve the exact size of the containers (which also similar to ‘the intended capacity of containers’) without medical means of regulating ‘symmetry’ (the exact match in size and shape) and ‘wall thickness’ which is substituted to ‘thickness’ in the question’. + Understanding the meaning of words that are paraphrase is a key to find out the answer. 33 YESNONOT GIVEN There are plans to excavate new areas of the archaeological site in the near future. 34 YESNONOT GIVEN Some of the evidence concerning pottery production in ancient Akrotiri comes from written records. 35 YESNONOT GIVEN Pots for transporting liquids would have held no more than about 20 litres. 36 YESNONOT GIVEN It would have been hard for merchants to calculate how much wine was on their ships. 37 YESNONOT GIVEN The capacity of containers intended to hold the same amounts differed by up to 20 percent. 38 YESNONOT GIVEN Regular trading of goods around the Aegean would have led to the general standardisation of quantities. Q33. There are plans to excavate new areas of the archaeological site in the near future. + Paragraph 1 only mentions some information about the excavation at the size of the prehistoric Akrotiri. However, there is no information that this size of Akrotiri is old or new. Q34. Some of the evidence concerning pottery production in ancient Akrotiri comes from written records. Yet, how pottery production was organised at Akrotiri remains an open question, as there is no real documentary evidence. Our entire knowledge comes from the ceramic material itself, and the tentative conclusions which can be drawn from it. + It is inferred from paragraph 3 that there is no real documentary evidence about the production of pottery in Akrotiri. Conclusions for pottery production can only be drawn from the ceramic material itself. + Obviously, the statement is contrast to what mentioned from the paragraph. Q35. Pots for transporting liquids would have held no more than about 20 litres. In fact, the length of a man’s arm limits the size of a smaller pot to a capacity of about twenty litres; that is also the maximum a man can comfortably carry. + Paragraph 5 confirms that the capacity of the pot is about twenty liters, which is similar to the statement that pots can hold no more than about 20 liters. + The information from question 35 perfectly matches the information in the passage. Q36. It would have been hard for merchants to calculate how much wine was on their ships. Akrotirian merchants handling a commodity such as wine would have been able to determine easily the amount of wine they were transporting from the number of containers they carried in their ships, since the capacity of each container was known to be 14-18 litres. + Paragraph 6 confirms that merchants would determine the amount of wine they carried in their ships easily. + However, the statement from Question 36 is different from the paragraph’s information. (Merchants would determine the amount of wine ‘EASLILY’ versus ‘HARD’). Q37. The capacity of containers intended to hold the same amounts differed by up to 20 percent. In one case the deviation from the required size appears to be as much as 10-20 percent. + From paragraph 8, it is clear that deviation in the containers’ size is up to 20 percent. This information is suitable for what mentioned in the statement. (The word ‘deviation’ in the paragraph is changed into ‘differed by’ in the statement). Q38. Regular trading of goods around the Aegean would have led to the general standardization of quantities. The establishment of regular trade routes within the Aegean led to increased movement of goods; consequently a regular exchange of local, luxury and surplus goods, including metals, would have become feasible as a result of the advances in transport technology. 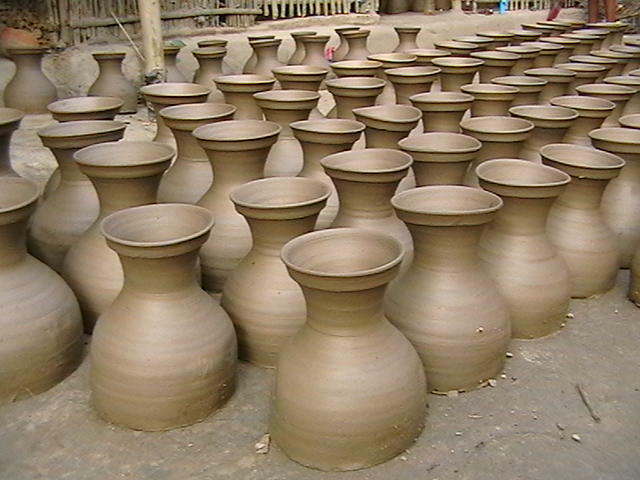 The increased demand for standardized exchanges, inextricably linked to commercial transactions, might have been one of the main factors which led to the standardization of pottery production. + It can be inferred from paragraph 9 that the more regular trade routes around the Aegean, the more standardized the pottery production is. What does the writer say about the standardisation of container sizes? Q39. What does the writer say about the standardization of container sizes? + After understanding the meaning of these paraphrases above, you can find out the answer easily. What is probably the main purpose of Reading Passage 3? Q40. What is probably the main purpose of Reading Passage 3? Establishment of regular trade routes within the Aegean led to increased movement of goods; consequently a regular exchange of local, luxury and surplus goods, including metals, would have become feasible as a result of the advances in transport technology. The increased demand for standardised exchanges, inextricably linked to commercial transactions, might have been one of the main factors which led to the standardisation of pottery production. Thus, the whole network of ceramic production and exchange would have depended on specific regional economic conditions, and would reflect the socio-economic structure of prehistoric Akrotiri. Great thanks to volunteer Huong Hoang Lan Nguyen has contributed these explanations. You should spend about 20 minutes on Questions 1-13. which are based on Reading Passage 1 below. The professional career paths available to graduates from courses relating to human movement and sport science are as diverse as the graduate’s imagination. 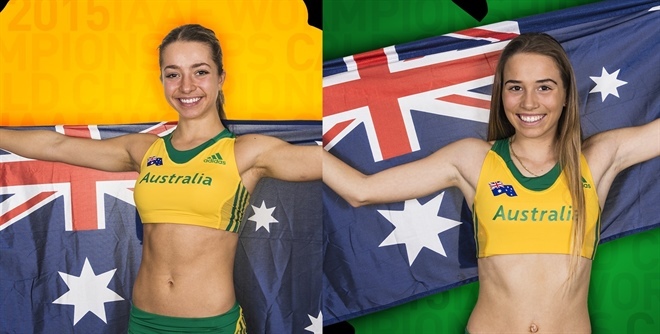 However, undergraduate courses with this type of content, in Australia as well as in most other Western countries, were originally designed as preparation programmes for Physical Education (PE) teachers. The initial programmes commenced soon after the conclusion of World War II in the mid-1940s. One of the primary motives for these initiatives was the fact that, during the war effort, so many of the men who were assessed for military duty had been declared unfit. The government saw the solution in the providing of Physical Education programmes in schools, delivered by better prepared and specifically educated PE teachers. Later, in the 1970s and early 1980s, the surplus of Australians graduating with a PE degree obliged institutions delivering this qualification to identify new employment opportunities for their graduates, resulting in the first appearance of degrees catering for recreation professionals. In many instances, this diversity of programme delivery merely led to degrees, delivered by physical educators, as a side­line activity to the production of PE teachers. Whilst the need to produce Physical Education teachers remains a significant social need, and most developed societies demand the availability of quality leisure programmes for their citizens, the career options of graduates within this domain are still developing. The two most evident growth domains are in the area of the professional delivery of sport, and the role of a physical lifestyle for community health. These developments have confirmed sport as a business with professional management structures, marketing processes, and development strategies in place. They have indicated new and developing career paths for graduates of human movement science, sport science, exercise science and related degrees. Graduates can now visualise career paths extending into such diverse domains as sport management, sport marketing, event and facility management, government policy development pertaining to sport, sport journalism, sport psychology, and sport or athletic coaching. Graduates of human movement, exercise science and sport science have the potential to become major players in this shift in policy focus. It is these graduates who already have the skills, knowledge and understanding to initiate community health education programmes to reduce cardio-vascular disease, to reduce medical dependency upon diabetes, to improve workplace health leading to increased productivity, to initiate and promote programmes of activity for the elderly that reduce medical dependency, and to maintain an active lifestyle for the unemployed and disadvantaged groups in society. This is the graduate that governments will be calling upon to shift the community focus from medical dependency to healthy lifestyles in the decades ahead. A In terms of micro-renewable energy sources suitable for private use, a 15-kilowatt (kW) turbine is at the biggest end of the spectrum. With a nine metre diameter and a pole as high as a four-storey house, this is the most efficient form of wind micro­turbine, and the sort of thing you could install only if you had plenty of space and money. According to one estimate, a 15-kW micro-turbine (that’s one with the maximum output), costing £41,000 to purchase and a further £9,000 to install, is capable of delivering 25,000 kilowatt-hours (kWh)’ of electricity each year if placed on a suitably windy site. B I don’t know of any credible studies of the greenhouse gas emissions involved in producing and installing turbines, so my estimates here are going to be even more broad than usual. However, it is worth trying. If turbine manufacture is about as carbon intensive per pound sterling of product as other generators and electrical motors, which seems a reasonable assumption, the carbon intensity of manufacture will be around 640 kilograms (kg) per £1,000 of value. Installation is probably about as carbon intensive as typical construction, at around 380 kg per £1,000. That makes the carbon footprint (the total amount of greenhouse gases that installing a turbine creates) 30 tonnes. C The carbon savings from wind-powered electricity generation depend on the carbon intensity of the electricity that you’re replacing. Let’s assume that your generation replaces the coal-fuelled part of the country’s energy mix. In other words, if you live in the UK, let’s say that rather than replacing typical grid electricity, which comes from a mix of coal, gas, oil and renewable energy sources, the effect of your turbine is to reduce the use of coal-fired power stations. That’s reasonable, because coal is the least preferable source in the electricity mix. In this case the carbon saving is roughly one kilogram per kWh, so you save 25 tonnes per year and pay back the embodied carbon in just 14 months - a great start. E So, at face value, the turbine looks like a great idea environmentally, and a fairly good long-term investment economically for the person installing it. However, there is a crucial perspective missing from the analysis so far. Has the government spent its money wisely? It has invested 24p per unit into each micro-turbine. That works out at a massive £250 per tonne of carbon saved. My calculations tell me that had the government invested its money in offshore wind farms, instead of subsidising smaller domestic turbines, they would have broken even after eight years. In other words, the micro-turbine works out as a good investment for individuals, but only because the government spends, and arguably wastes, so much money subsidising it. Carbon savings are far lower too. G There is one extra favourable way of looking at the micro-wind turbine, even if it is not the single best way of investing money in cutting carbon. Input- output modelling has told us that it is actually quite difficult to spend money without having a negative carbon impact. So if the subsidy encourages people to spend their money on a carbon-reducing technology such as a wind turbine, rather than on carbon-producing goods like cars, and services such as overseas holidays, then the reductions in emissions will be greater than my simple sums above have suggested.